One mother has come forward with inside knowledge of the synthetic cannabis trade, revealing that the problem is much worse than everyone realizes. 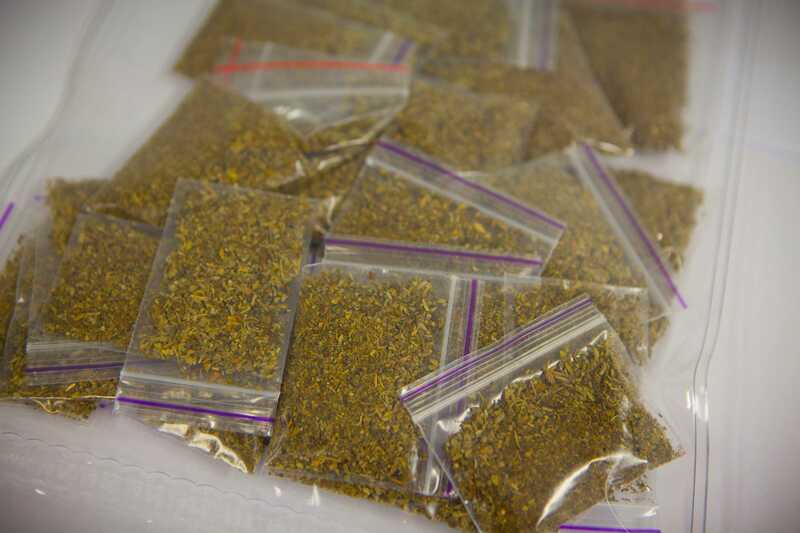 The toxic drug being labeled as synthetic cannabis is being blamed for the recent deaths of ten people in New Zealand. The life-threatening reactions are being blamed on homemade black market drugs that are reported to be made from toxic chemicals including weed killer and fly spray. One mother has come forward with inside knowledge of the synthetic cannabis trade, which shows that the scale of the problem is much worse than the public and authorities realize. The name “synthetic cannabis” is somewhat of a misnomer, because the drug does not share many traits with the plant, being that it is filled with mind-altering chemicals that are either sprayed or dried on to plant-like materials. When smoked, synthetic cannabis has an effect that is over a hundred times more powerful than cocaine. It has been known to send the user’s body temperature up to 104 degrees, which has resulted in the deaths of ten New Zealanders in recent months. The dealers are just adding their own chemicals into this stuff. You got turps, methylated spirits, mental health medicine, sleeping pills and rat poison. The dealers chop it up and grind it into a powder and sell it as synthetics. Unfortunately, Miss Theodore knows two of the 10 people who have died after using the toxic concoctions, continuing that the dealers don’t care. They just stick in whatever they can to make money. They don’t care if you die. Two people who passed away because of that stuff were people we knew and the dealers knew. They gave it to them anyway. It’s about the money every time. That’s all you hear: ‘they wanted, they got it, it’s not my fault they died’. Miss Theodore admits that she’s struggled with addiction in the past, and is also awaiting sentencing for drug-related offenses, but she says she’s clean. That’s why she has chosen to speak out. I have a husband in prison. He’s doing 10 months in there and that was to do with synthetics. I had my own son on it. He was on it really bad. When he went off it, he couldn’t eat, couldn’t sit still. He didn’t sleep for two straight weeks – it’s actually worse than meth. Theodore says the outlook is bleak and believes many more lives will be taken before the scourge of synthetics can be overcome. There’s no undoing this. It’s not going to stop.